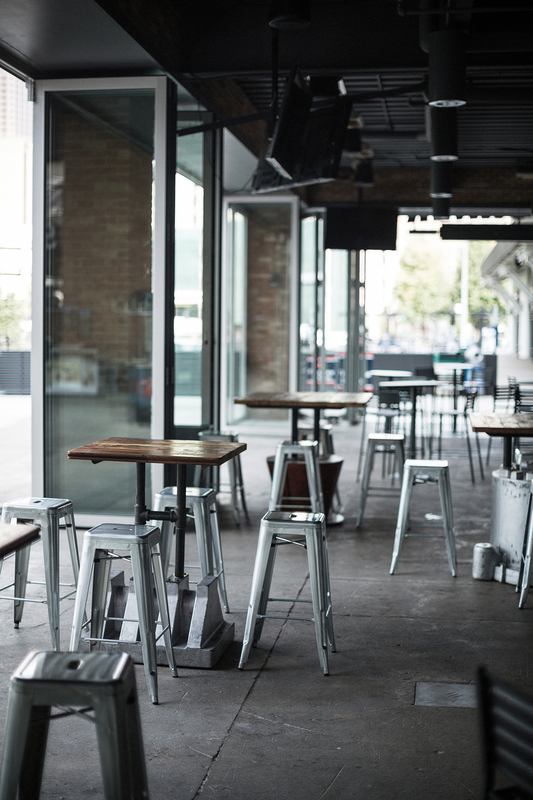 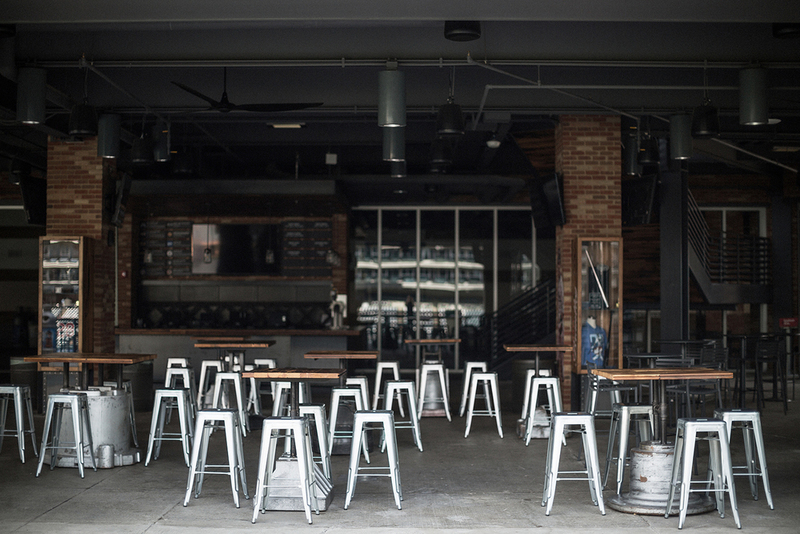 Grab some friends and head to The Corner. 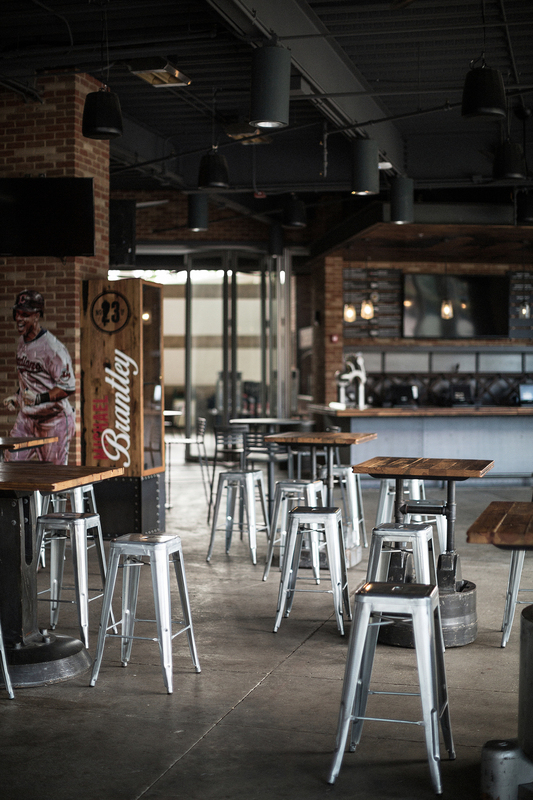 The new bar is the perfect place for the whole group. 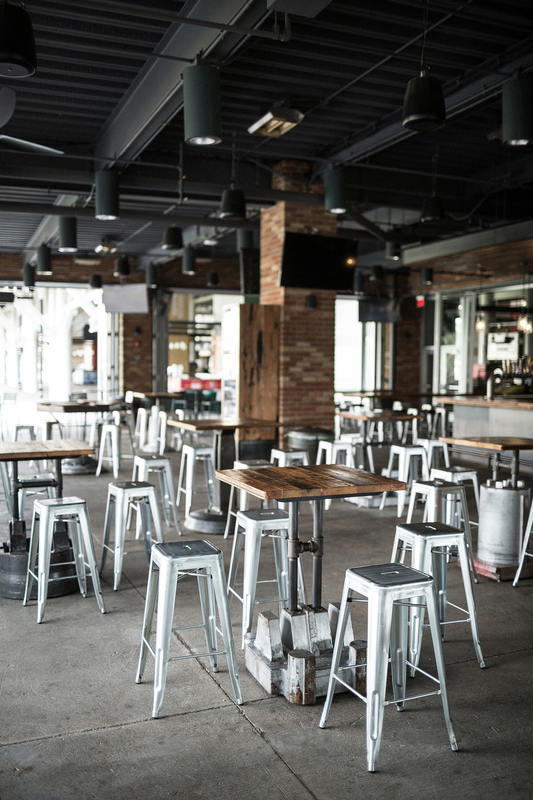 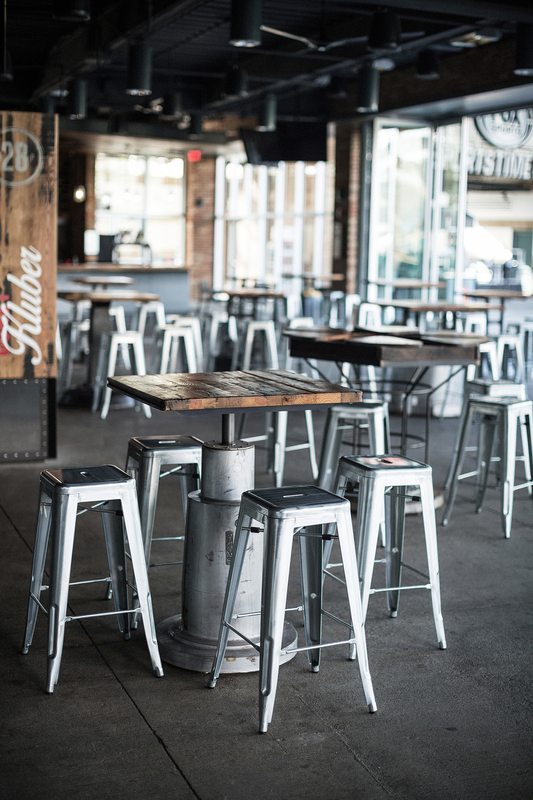 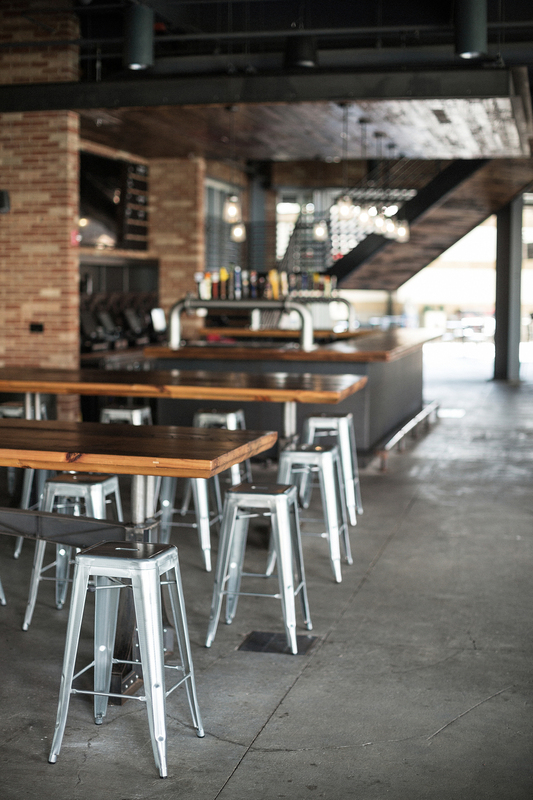 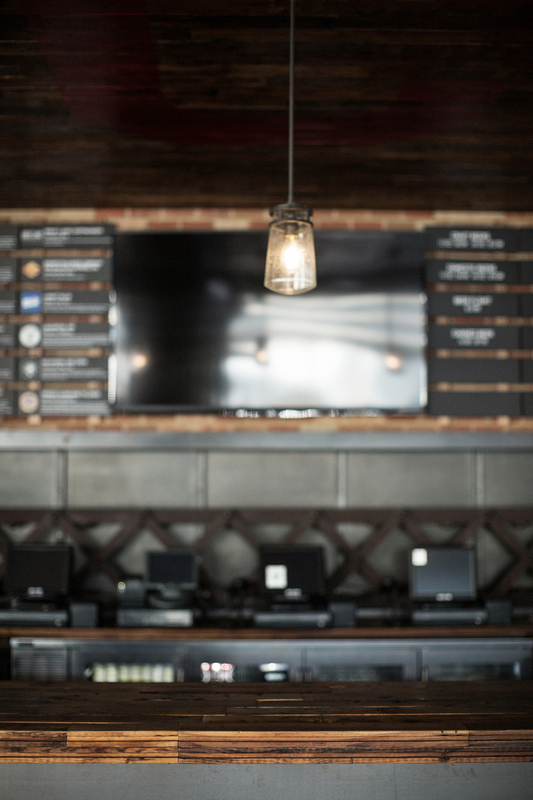 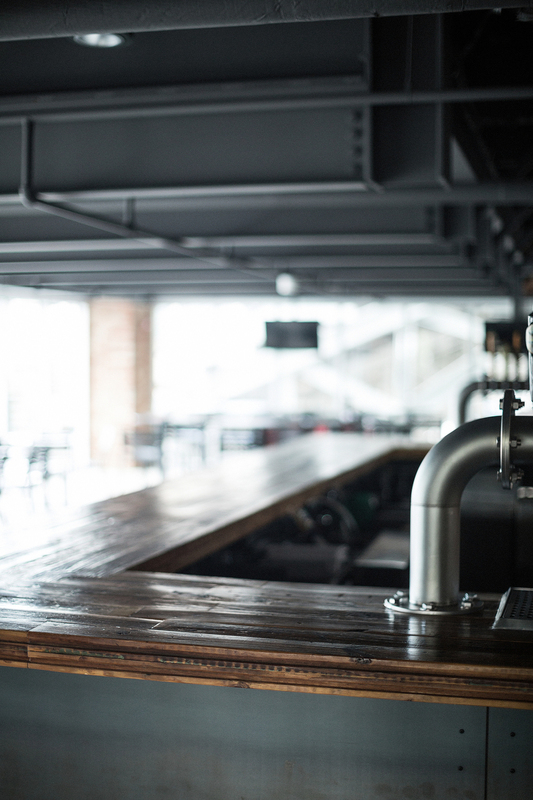 You'll find nearly 40 beers on tap including plenty of local and craft brews. 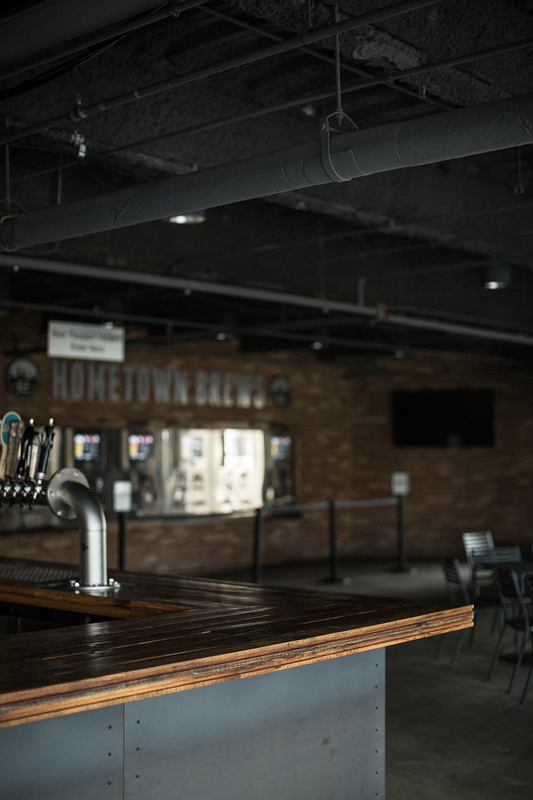 Plus, a digital "Hometown Brews" beer wall on the second floor lets you choose the type and quantity of beer you want, then pour your own. 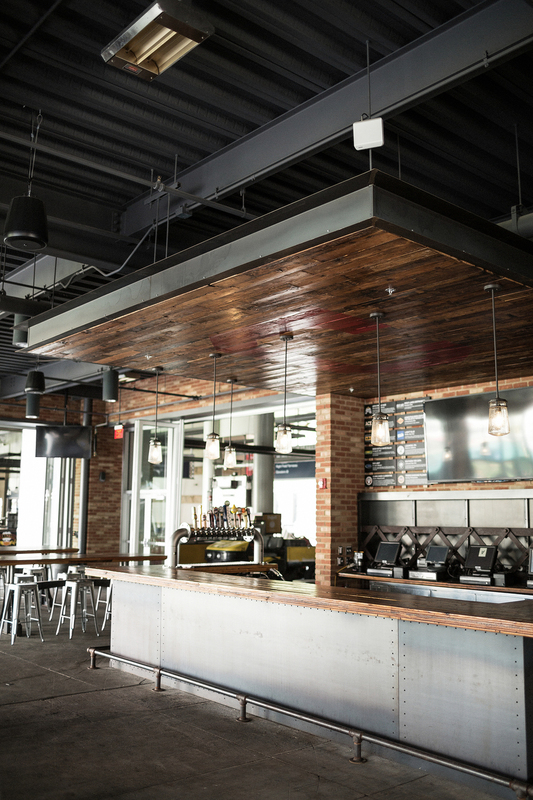 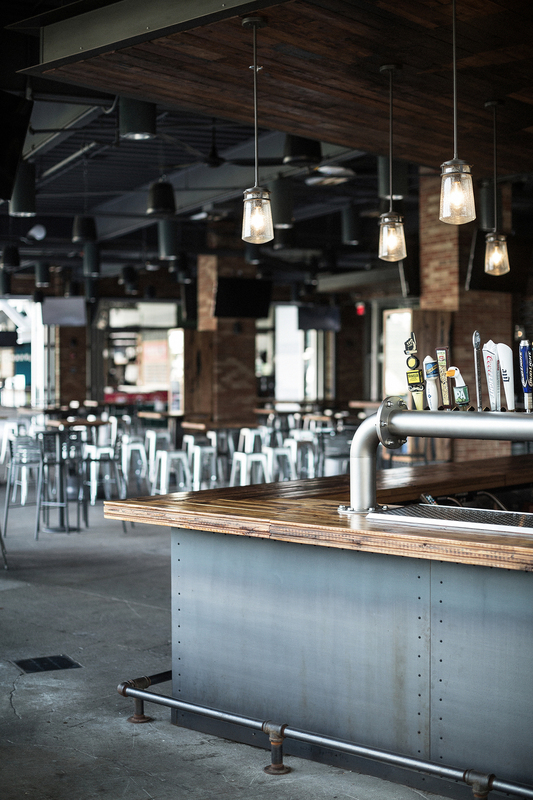 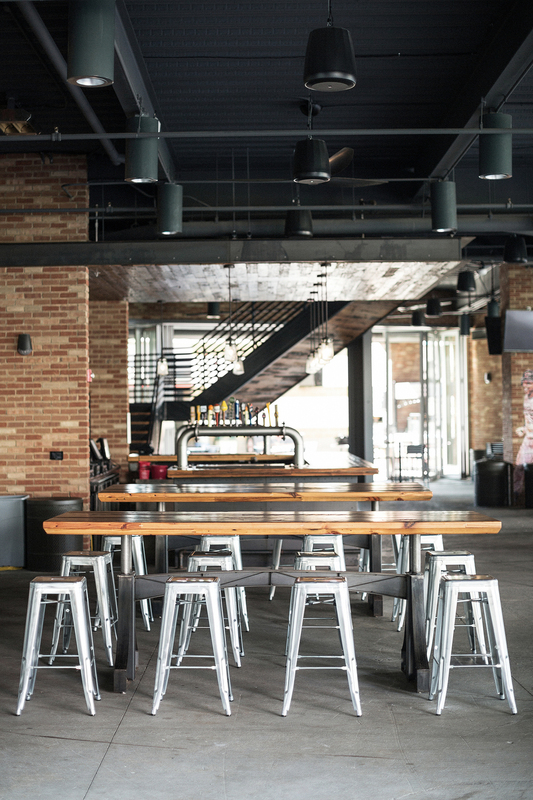 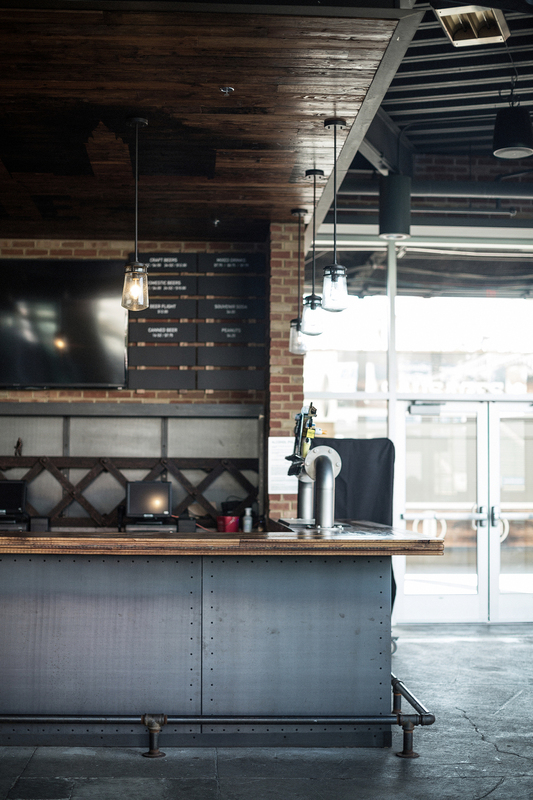 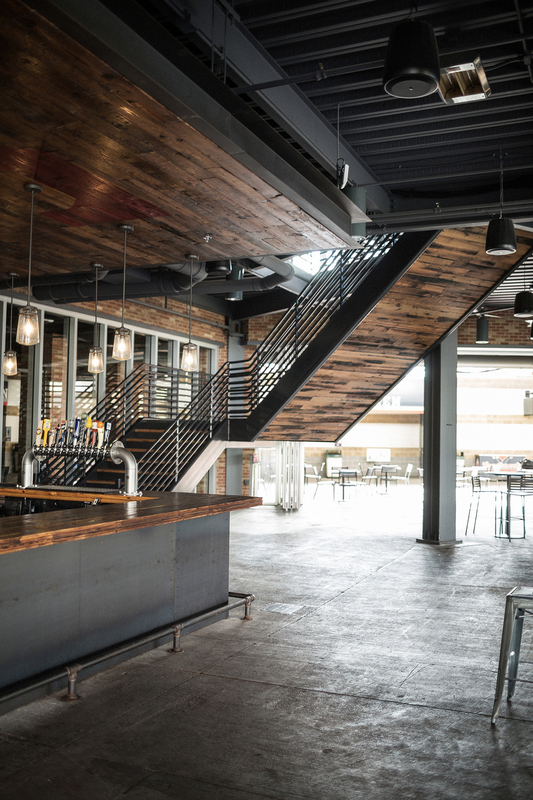 It's a uniquely Cleveland experience -- cheer on the home team while drinking craft brews in a bar made from wood and steel reclaimed from the old Columbus Road Bridge in the Flats. 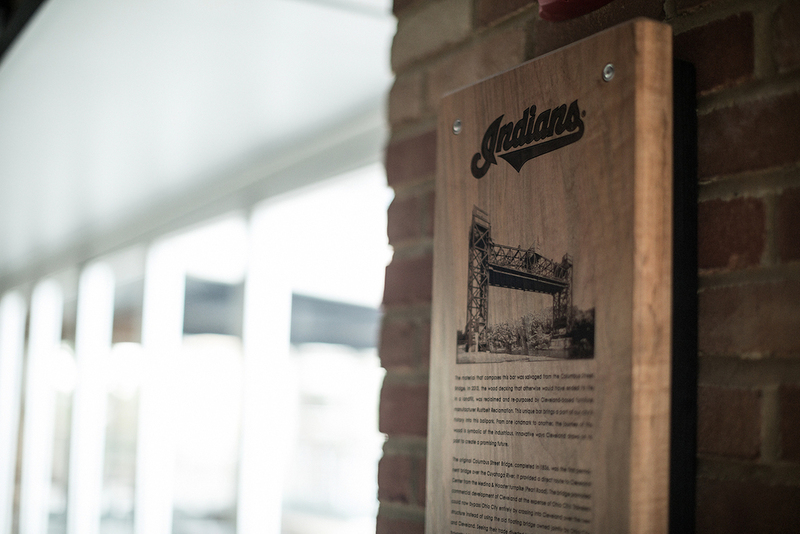 Working with Cleveland-based Rustbelt Reclamation, the Indians also incorporated bridge decking and hand-made sand-casting patterns recovered from a foundry formerly located on East 71st Street. 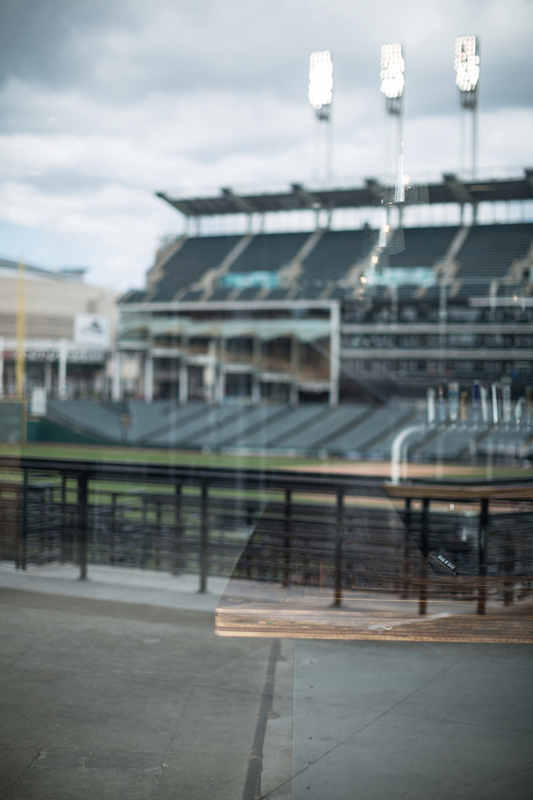 It's all about bringing some of Cleveland into the ballpark. 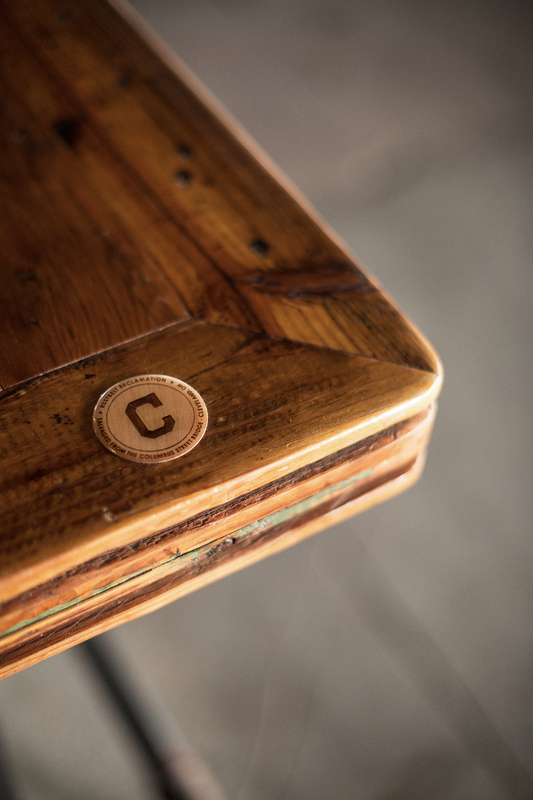 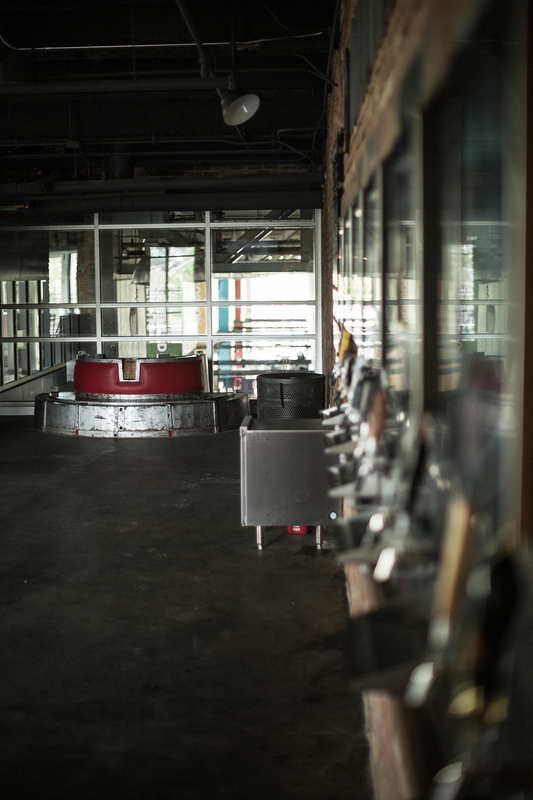 The material that composes bar-top was salvaged from the Columbus Street Bridge. 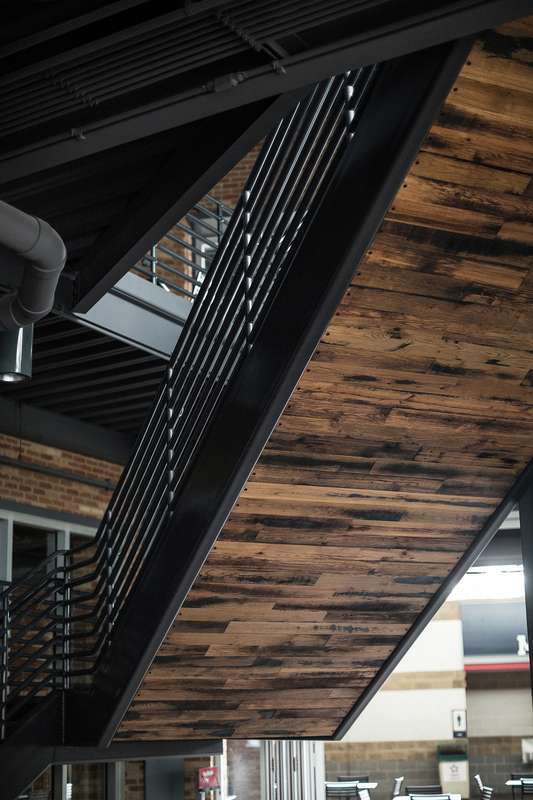 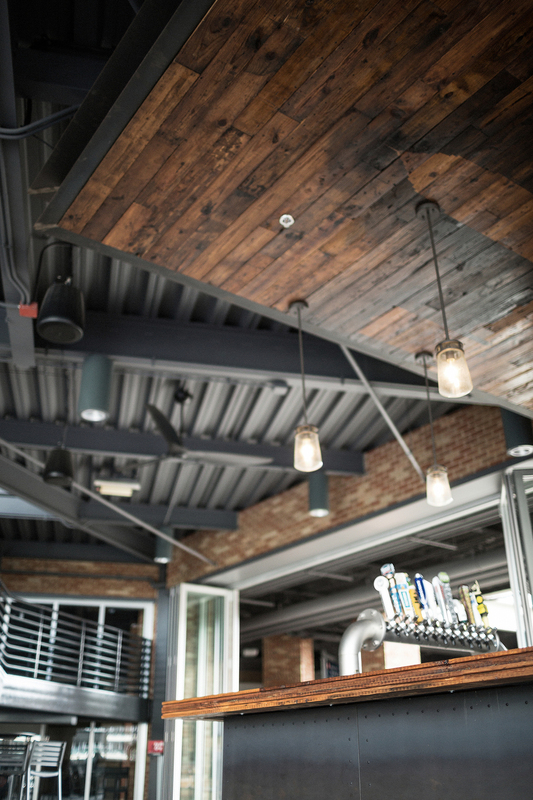 In 2013, the wood decking that otherwise would have ended its life in a landfill, was reclaimed and re-purposed by Cleveland-based furniture manufacturer Rustbelt Reclamation. 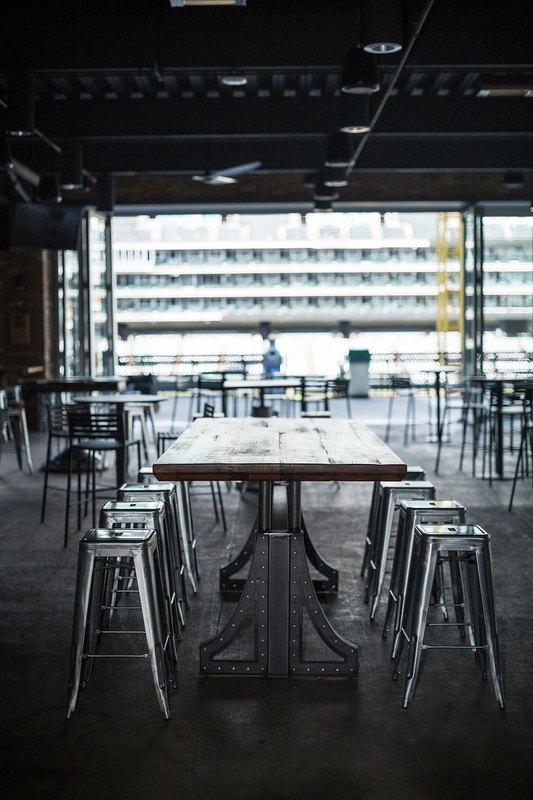 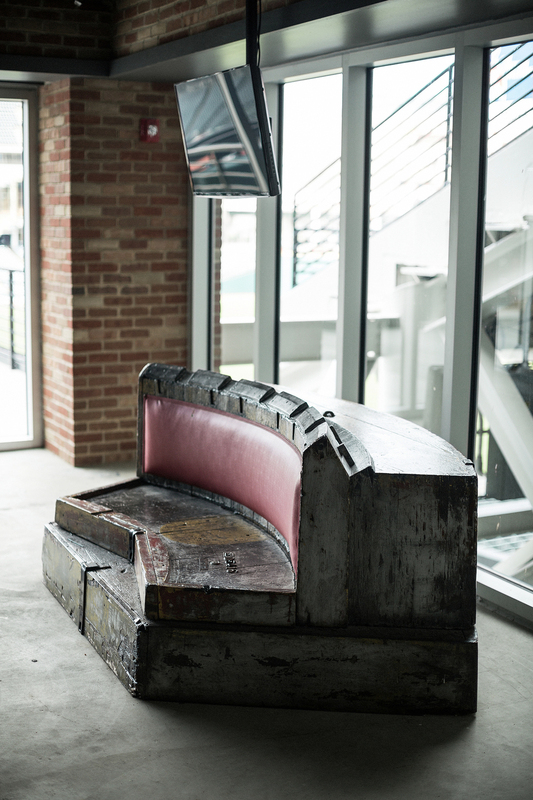 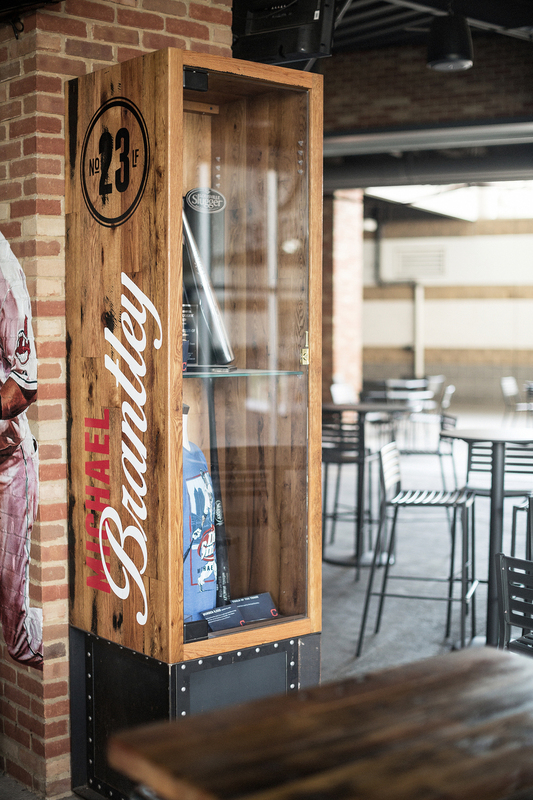 This unique bar brings a part of our city’s history into this ballpark. 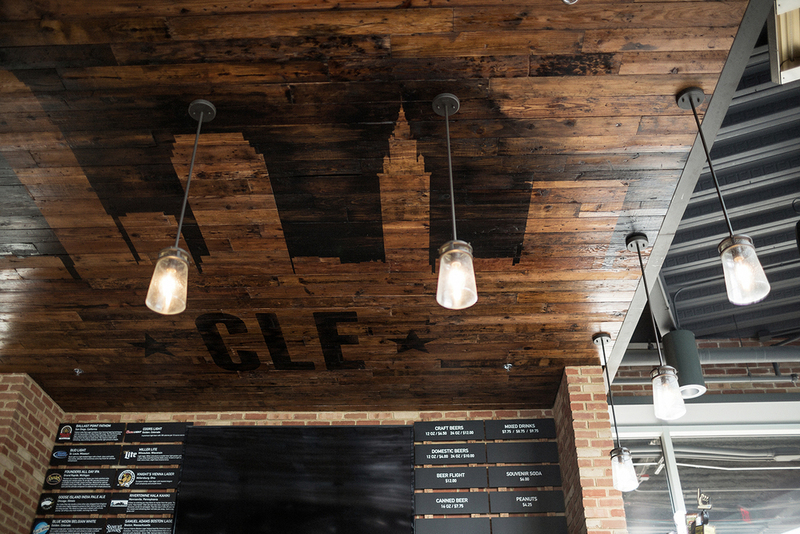 From one landmark to another, the journey of this wood is symbolic of the industrious, innovative ways Cleveland draws on its past to create a promising future. 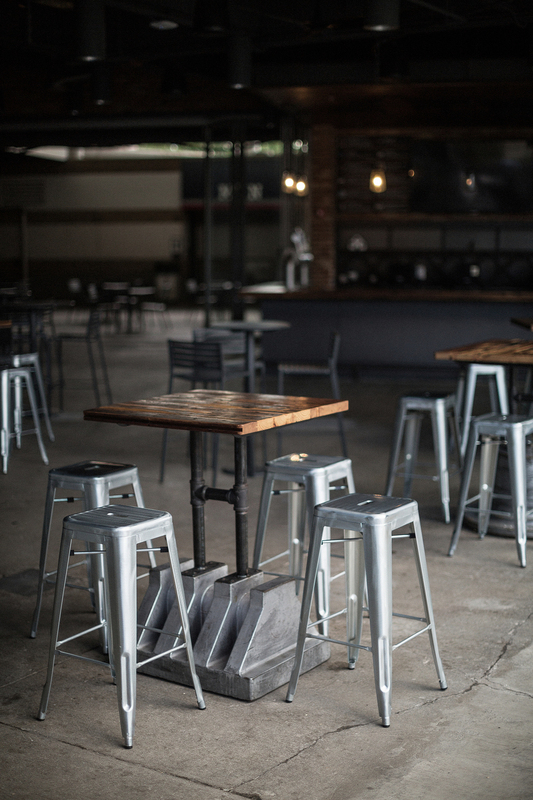 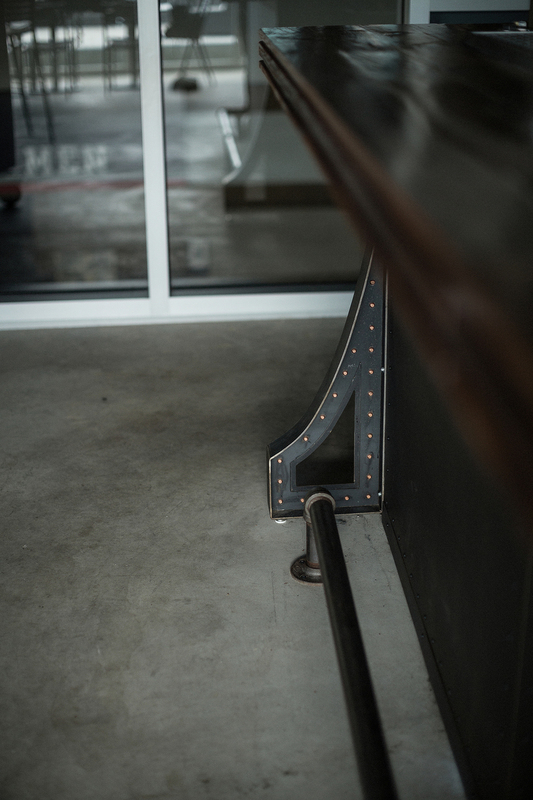 The high top tables are constructed with foundry patterns salvaged from Taylor & Boggis (T&B) Foundry and repurposed by Rustbelt Reclamation. 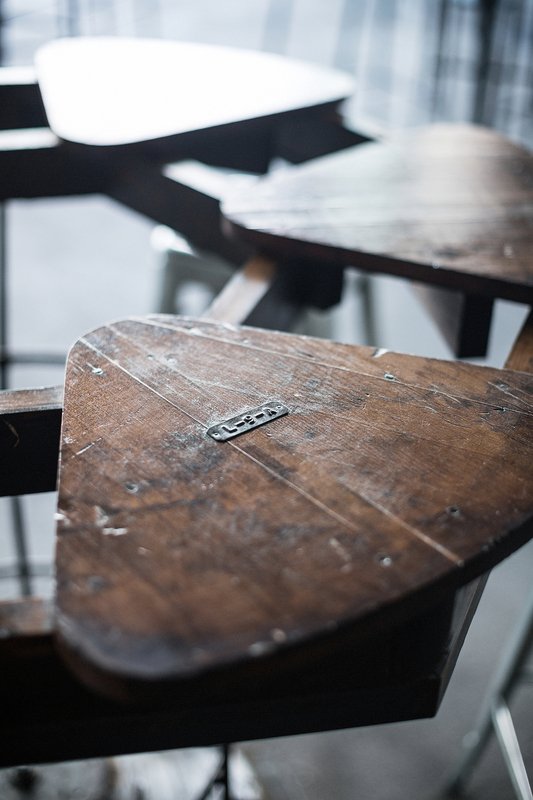 The patterns were used to form the sand molds employed in the production of iron parts and components for Industry and were hand-made using mahogany and pine.